Donnelly & Associates, P.C. 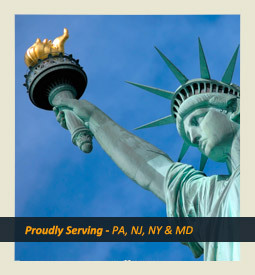 was founded in 1999 with a mission to provide world class, affordable legal representation to insurance carriers throughout the Commonwealth of Pennsylvania. The firm’s aggressive litigation style resulted in significant victories for the insurance industry and its insureds, and word quickly spread about the firm's successes. By 2004, the firm had expanded to more than a dozen attorneys. 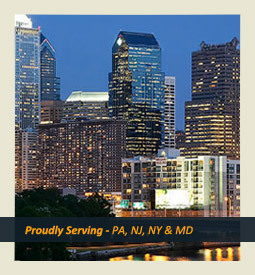 Today, the firm has a regional presence, with lawyers admitted to practice in Pennsylvania, New Jersey, Maryland and New York. 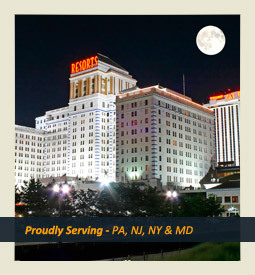 During the past fifteen years, the attorneys at Donnelly & Associates, P.C. have established a reputation as aggressive and tough litigators who routinely try cases to verdict. The attorneys of Donnelly & Associates, P.C. are also known for their refined and sophisticated legal strategies, strong work ethic and unparalleled commitment to their clients. Donnelly & Associates, P.C. has defended insurance carriers and their insureds in state and federal courts throughout Pennsylvania, New Jersey, New York and Maryland. The firm’s practice areas include bad faith and extra-contractual litigation, general liability and casualty litigation, first party homeowners' claims, construction defect cases, motor vehicle liability, workers’ compensation claims, products liability litigation, environmental claims and professional negligence. In fact, Donnelly & Associates, P.C. has been on the cutting edge of bad faith litigation since the passage of the Pennsylvania Bad Faith Statute, 42 Pa.C.S. §8371. The firm handles matters ranging from the most routine personal injury case to the most complex bad faith, malpractice or contractual coverage litigation. The firm is frequently asked to issue coverage opinions in a variety of practice areas. The attorneys at Donnelly & Associates, P.C. are skilled in handling complex coverage issues. As a result, the attorneys have assisted many carriers in avoiding costly bad faith litigation. “We at Donnelly & Associates, P.C. separate ourselves from other law firms because of our absolute commitment to perfect preparation of our clients’ cases." “We at Donnelly & Associates, P.C. separate ourselves from other law firms because of our absolute commitment to perfect preparation of our clients’ cases. We then are perfectly prepared and willing to try a case to verdict if necessary,” says founding and managing partner, Jack Donnelly. “Our commitment to excellence means that, prior to trial, we have reviewed every document, deposed every witness, and looked under every stone for evidence that might potentially help win the case at trial for our clients. We are always perfectly prepared for trial,” continues Mr. Donnelly. The firm’s clients range from many of the top ten largest insurance carriers in the United States and Europe to small regional insurance carriers; the firm also represents Fortune 500 companies as well as individual insureds and small business owners. “Every attorney at Donnelly & Associates, P.C. 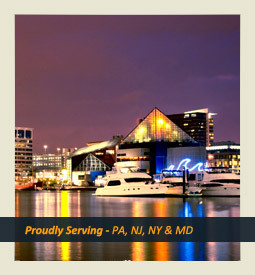 is committed to devoting his or her best effort in every case, for every client, at every hearing, motion and trial. We grow our firm one case, one trial, one excellent performance at a time,” explains Mr. Donnelly. At Donnelly & Associates, P.C. every employee, from the paralegals to the founding partner, is devoted to one principle: We exist to serve our clients, big or small, to the best of our talents, skills and experience. “We work so closely with our clients that inevitably we become trusted friends and confidants as we move towards a positive resolution of each piece of litigation,” states Mr. Donnelly. Moreover, the firm is committed to the highest ethical standards . . . Just ask the clients, the judges or the Plaintiffs' Bar. The attorneys at Donnelly & Associates, P.C. are highly regarded by their peers and they lecture frequently to lawyers and insurance professionals on various cutting edge topics and trial tactics. “We achieve outstanding results on behalf of our clients, both in and out of court, because we have a great pool of legal talent, a cost effective approach, and the sheer determination to prepare for trial,” states Mr. Donnelly. All of the firm’s attorneys have dedicated the vast majority of their legal careers to providing the insurance industry with advice and counsel. The firm crafts industry based solutions to insurance industry problems. With Donnelly & Associates, P.C. the clients find that each attorney has extensive hands-on insurance defense experience, including attorneys who have worked as either claims adjusters or as retained counsel for the insurance industry. “We have guided a number of new carriers through the regulatory hurdles of the Pennsylvania Insurance Department as they begin to write policies in Pennsylvania; we have advised top ten insurance carriers on suggested policy changes and endorsement enhancements; we have handled some of the biggest bad faith cases in Pennsylvania,” states Mr. Donnelly. The attorneys at Donnelly & Associates, P.C. know the insurance industry -- from the board room to the claim representative’s desk. Donnelly & Associates, P.C. exists to serve its clients with integrity, accountability, and an absolute mastery of the law. The firm is proud to serve its clients in a personal, efficient and cost effective manner. We are honored to be your attorneys.